Paul Weller and The Rolling Stones are auctioning signed T-Shirts in aid of homelessness charity, Streets of London. 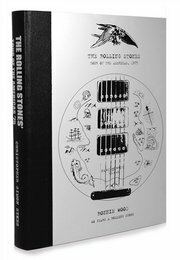 The Genesis authors join a host of signatories, including John Paul Jones, Florence and the Machine, Noel Gallagher, Wilco and Kings of Leon. Bidding ends this Sunday, 30th March, and you can place yours today by clicking here.